Renovated in 2012, also to an exceptionally high standard, Drumfad Barn, like Drumfad Cottage, has a ground source heat pump and solar panels providing underfloor heating and hot water 24 hours a day. 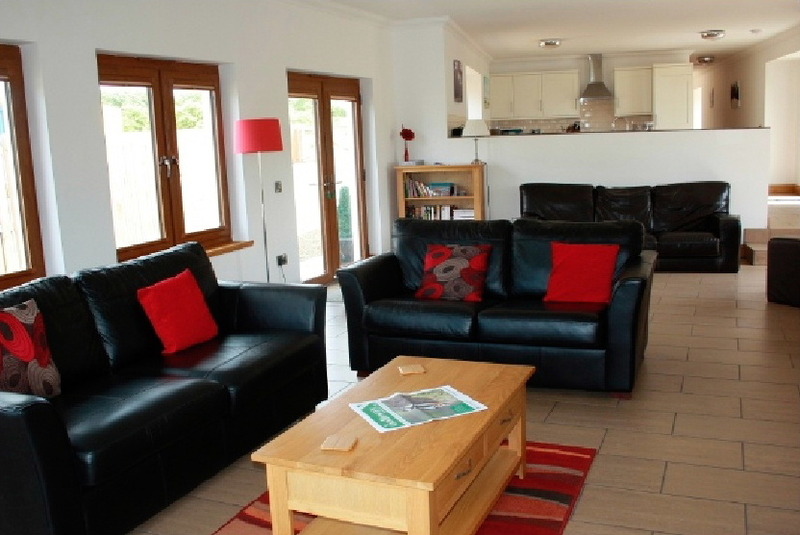 The accommodation is all on one level and comprises of a spacious living area with leather sofas, large screen TV with FreeSat, DVD player, Nintendo Wii and a log-burning fire. There is also a selection of books and board games for you to enjoy. The well-equipped kitchen overlooks the living area and contains all the modern appliances including an electric oven with hob, dishwasher, washing machine, fridge-freezer and microwave. There are two luxury bedrooms, one with a king-size bed and the other with three singles. 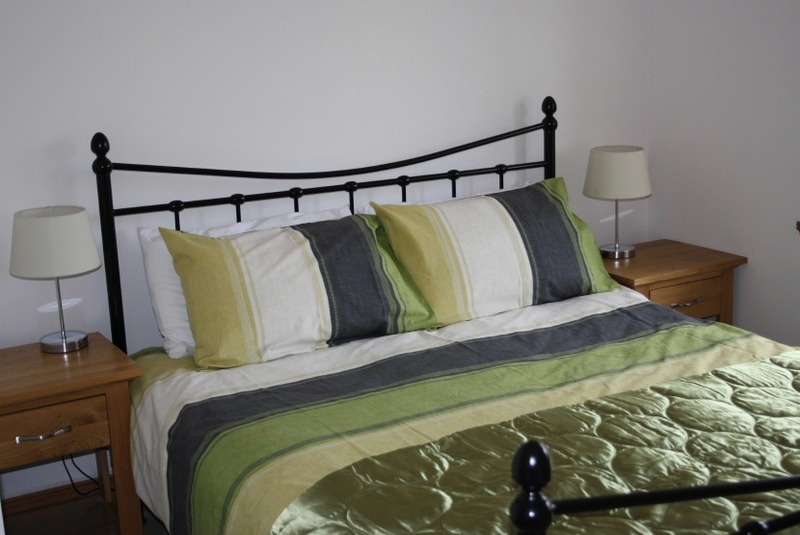 Both bedrooms have en-suite facilities. All bed linen and towels are provided. A complimentary welcome pack includes: Eggs, a small loaf of bread, fresh milk, starter supply of tea, coffee, sugar, jam & marmalade, starter supply of firewood, kitchen essentials and cleaning products. Drumfad Barn and Cottage both have separate patio areas with garden furniture and barbeques and each contains a double sofa bed. 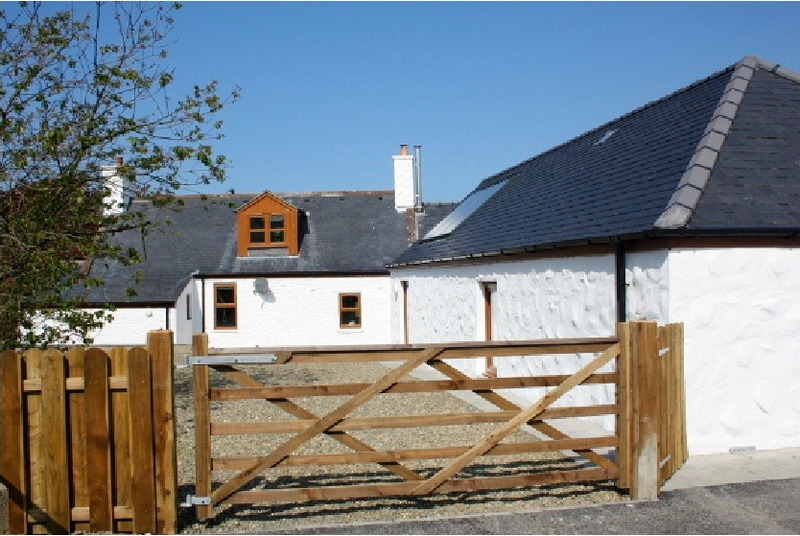 The Cottage and The Barn are adjoining with connecting doors which can be locked, allowing both properties to be let separately or as one for larger groups. Two well-behaved pets are welcome at a small extra charge. Provisional bookings will be held for 7 days pending deposit. Arrival after 4.00pm with departure by 10.00 am.